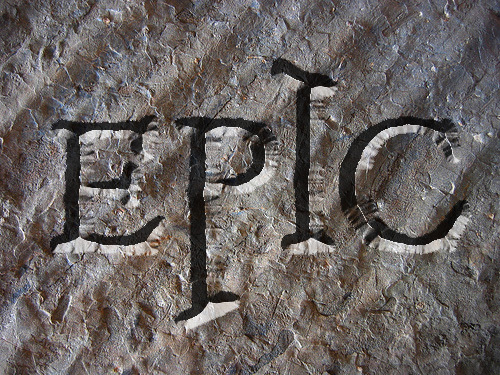 The Epic logo was "hammered out" by Kirk Stineck in our series creative planning meeting. Ann Paulson (our Communications Director) and I got to be a part of narrowing down the choices in fonts, backgrounds, etc. And it was interesting how Kirk could even manipulate the font he used to create something new. I'm really pleased with the results. That logo remains behind me in the huge center screen throughout the message and creates a memorable brand for the series.